2019 ICCFAU Registration now Open! Students should make their reservations directly with the Fogelman (901.678.5410) or the Holiday Inn University of Memphis (901.678.8200). To receive the deeply discounted room rates, identify yourself as part of the ICCFA group. We do expect these facilities to sell out so make your reservations early. The Fogelman and the Holiday Inn University of Memphis are currently sold out. ICCFA has obtained a room block at the Four Points by Sheraton Memphis East. You can reserve a room online by clicking here. How do you respond to a family who says, “We don’t want a traditional funeral?” You’ll learn how to go beyond tradition with innovative offerings. Become certified as a funeral celebrant trained to provide meaningful alternatives to clergy-led services. Cremation doesn’t have to mean “no service” or “no memorialization.” You’ll discover how to better serve families, improve cremation operations and increase your company’s cremation-related revenues. You’ll also earn three types of certifications: operator, administrator and arranger. the key to differentiation. You’ll learn Dr. W. Edwards Deming’s creative service management system and its specific applications to our profession. Globalization is making the world a smaller place. Be sure you know how to serve families of all nationalities and religious backgrounds in your community. You’ll learn about the funeral customs of all major religions and population groups from around the world. Exceptional cemetery service starts with the grounds and operations department. Without effective land management and a commitment to an attractive, well- maintained property, there will be no sales or service. You’ll learn how your grounds management team can succeed and continuously improve interments, landscaping, buildings, grounds maintenance and exceptional client experience and satisfaction. The cemetery, cremation and funeral service profession is changing, and so are the skills needed to manage and lead effectively. You’ll receive solid, relevant, results-focused training targeted at today’s required core competencies. The principles of sales and marketing don’t change; only technique and application do. Learn how to take the tried- and-true principles of cemetery and funeral sales and apply them within today’s highly mobile, multi-cultural, high-tech, information-driven marketplace. Going into its second year, this college is designed to give students a foundation in funeral home/cemetery hospitality and catering management. Classes will cover topics ranging from basic event planning and the essentials of the hospitality and catering markets to interpreting financial budgets, leadership and catering team management. Download a PDF of the full 2019 program! 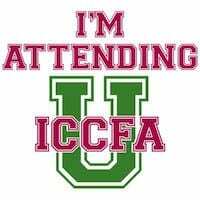 ICCFA University is held for five days each July. Undergraduate students enroll in one of the University’s eight colleges and spend the entire five days learning about that area of the profession. Students who complete four colleges become ICCFAU graduates (the CEO program does not count towards graduation), but attending four years is not required for enrollment. Some students enroll for one or two years, attending just those colleges that are most relevant to their jobs. But many students do choose to go on to study for four years or more as a way of broadening the scope of their knowledge. Company owners and chief executive officers. Managers seeking to develop additional skills and knowledge in order to improve their techniques and operations. Managers who are interested in moving into new areas of responsibility. Managers new to the cemetery and funeral service profession. Staff interested in advancing into management positions. Staff interested in improving their skills to better serve their employers and their client families. Suppliers who want to network and gain a better understanding of their customers’ challenges. The Master’s Program allows ICCFAU graduates to return to the University and take personally selected courses from each of the colleges. Because the college curricula are continually refined to reflect changes in the profession, there are always updated courses and new information available for continued professional development. Students registering for the Master’s Program must include a daily itinerary of their selected classes along with their registration. What is the CEO Program? Available to chief executives and company owners, the CEO Program allows top-level professionals to attend ICCFAU and take personally selected courses from each of the colleges. Students registering for this program are required to include a daily itinerary of their selected classes along with their registration. The CEO program does not count towards graduation. Are Continuing Education credits available through ICCFAU? Yes. Funeral directors can earn up to 25 CE credits, pending individual state approval. Please note that due to onerous and/or expensive filing requirements, the ICCFA no longer applies for continuing education credits in Pennsylvania or Virginia. ICCFA members applying for the Certified Cemetery Executive, Certified Funeral Executive, Certified Cemetery Funeral Executive, Certified Cremation Executive and/or Certified Supplier Executive designations through the association’s certification program will earn a total of 80 points toward certification upon completion of each college. 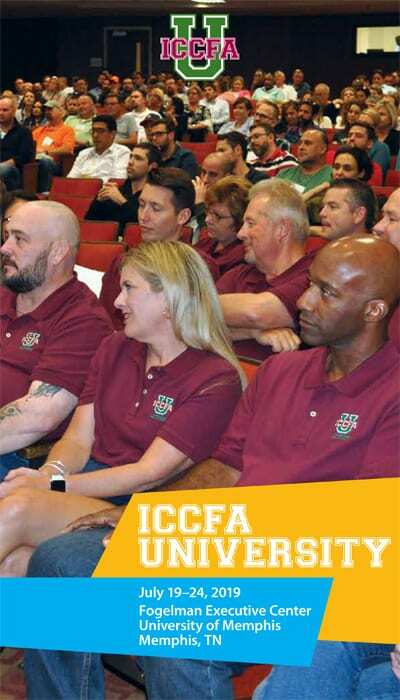 View the ICCFA U Orientation Guide. 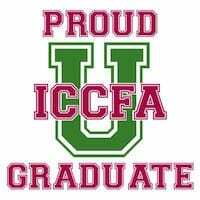 The ICCFA Educational Foundation, along with associations around the country, offer scholarships to those wishing to attend the ICCFA University.